I was required to write a series of compositions an then write an exsegesis of the process which I am going to upload parts of to this blog over the next couple of weeks. These concepts defined the bands composition and makeup. 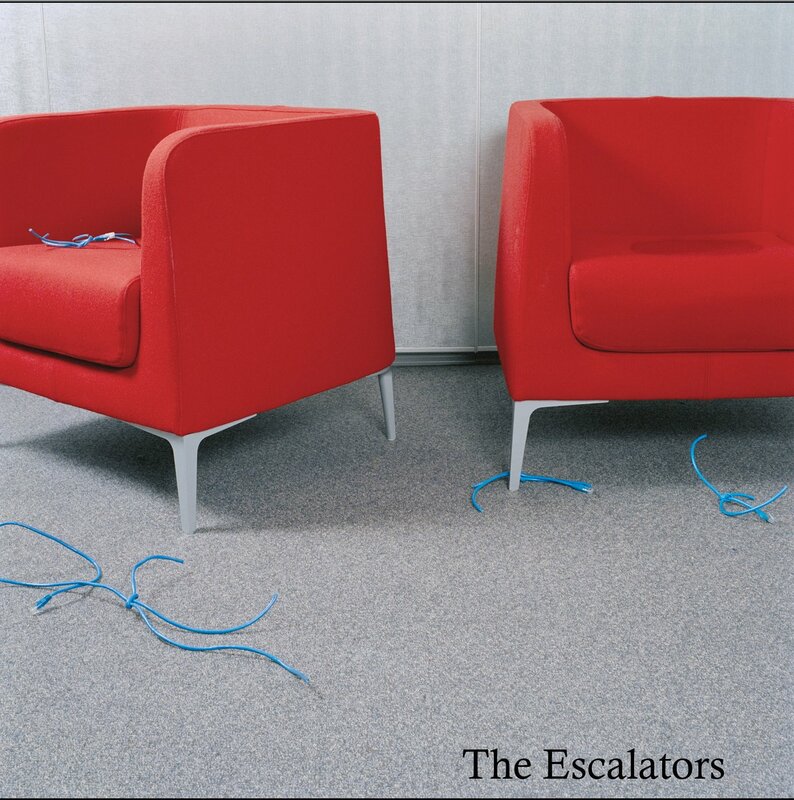 The Escalators’ distinctive identity is a consequence of crossing once-sacred style boundaries. In using samples, a composer can create hybrids that were previously unthinkable. This has the capacity to produce new, unique and personalised musical identities. Concept development, writing the music and choosing the musicians for the Escalators commenced in 2007. There are two reasons for the name. Firstly, for me the name elicits the feeling of a constant returning to the same place, likewise, in my opinion, sample-based music also seems to have this effect. It creates memory confusion and a sense of return. The second and less obvious reason was Escalators starts with the letter E. All my jazz/improvisation groups have had names starting with the letter E (En Rusk, Escargone, The Electricians, so now the Escalators). Doing this creates a sense of uncertainty in those who have followed my career, as well as a slight confusion when talking about one band compared to another. The state of minimal uncertainty or subtle confusion is something that has always interested me. The ensemble consists of Pat Thiel playing trumpet, Mark Hannaford playing piano, Joe Talia playing drums, Mick Meagher playing electric bass, Lawrence Folvig on electric guitar, DJ Element playing turntables/sampler, and me on trombone. At the early stages of development the shared improvising/compositional language that the players possess has allowed me to rapidly explore concepts. It has helped me decide what to keep and what to discard. It frees me up from having to constantly produce physical written work that might or might not be kept, thus saving me time in decision making and allowing for a more flexible, responsive approach to the final pieces. The distinguished clarinetist Anthony Pay states “I am the sort of player who is more disposed to start off from the accuracy point of view rather than starting off from the musical point of view. You can with some modern music start off and say : ‘I’m not going to pay any attention to the notational aspects of it, but initially I am going to decide what the music is about, the gestures – and language – the sort of thing, if you are improvising, you have to deal with.’ Now, I tend when I’m approaching a modern score, to start off by trying to get, as accurately as I can, what he’s actually put down on paper.” (Bailey 1992, 67-68) That premise is precisely what I want to avoid. This entry was posted in general writing, My Music and Bands and tagged kynan robinson, music, The Escalators by kynanrobinson. Bookmark the permalink.